Do you have migraines? Bad PMS and periods? Do you feel generally sluggish, or do you carry excess weight around your midsection? Did you know that your liver could be an unhappy contributor to these symptoms? Let us honor the liver, the hardest working organ in the body. Every single thing you eat, drink, breathe, and apply to your skin must be filtered through your liver. It is the master cleanser, neutralizing toxins and filtering your blood. 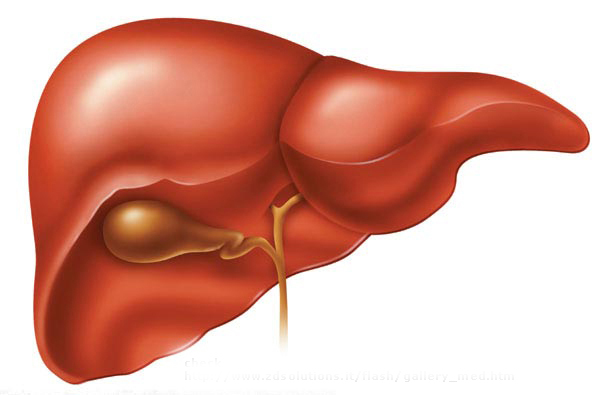 Liver, your largest organ, and gallbladder. Most of us rarely give a second thought to our livers, but when it becomes congested from too many toxins, your detoxification abilities are compromised and these toxins start to build up in your system. When this happens, you may experience fatigue, hormonal imbalance, bloating, constipation, general malaise, skin rashes, waking frequently during the night (especially between 1am and 3am), an increase in allergies, or intolerance to alcohol. Because the liver is charged with metabolizing your hormones, PMS may worsen and your menstrual cycles can become more difficult (an increase in cramping and fatigue, for example). Cholesterol levels can also rise due to an overworked liver. Take stock of your diet and lifestyle: what is your exposure level to toxins, both in your diet and environment? Do you eat organic, or do you eat conventional produce? Your liver must detoxify that pesticide residue you’re ingesting. What about the hormones and antibiotics (and other chemicals) in your meats? Processed foods? Are you breathing in pollution? Using body lotions, soaps, and cosmetics that contain chemicals? What about cleaning products? If you have “multiple chemical sensitivities,” your liver is probably the culprit. Think of it this way: if your liver is overworked and unable to effectively neutralize toxins, when they build up, they create free radical damage, leading to premature aging (wrinkles!) and even disease. According to Chinese Medicine, the liver is the seat of emotion. If you are susceptible to anger, or you get “heated,” or anxious or depressed, your liver is unbalanced. There are many ways you can support a congested liver. One way is a liver cleanse. There are many good kits out there on the market (Garden of Life has a good one), or you can use herbal support products with milk thistle, oregon grape root, burdock, red root, and dandelion. We will also be running a 2-3 week group detox at our integrative clinic in Mill Valley in the spring. Contact me for more details about this! A liver cleanse is a time to get rid of the junk in your diet – no wheat, dairy, soy, sugar, alcohol, or coffee. It’s a time to eat lots of leafy greens (especially the bitter ones, like dandelion or beet greens), get good quality organic protein and cut out all refined foods. Reach for cruciferous veggies like broccoli or brussels sprouts, also, artichokes, garlic, beets, and plenty of lemon water, which is cleansing and stimulates the liver and gallbladder. Check out The Fast Track Detox Diet by Ann Louise Gittleman for a good quick cleanse. The book has a lot of good information about liver health. Aside from a cleanse, you can take small daily steps to improve your overall liver health: try incorporating a liver cleansing herbal tonic into your routine (especially useful during the holiday party season), drink plenty of lemon water, and incorporate more leafy greens and cruciferous veggies into your diet on a daily basis. The cruciferous and sulfur veggies (like garlic) and beets especially help your liver detox your body. Try incorporating some of the wonderful herbal teas out there, such as dandelion root. The result? A clear mind (escape that foggy feeling! ), a clean body, fewer menstrual symptoms and headaches, and more energy. Very informative, thank you. I must get working on looking after my liver right away.